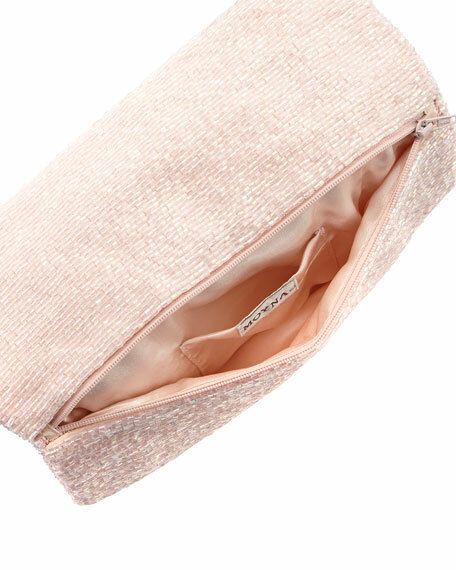 Pretty in pink: Moyna puts femininity in the palm of your hand with this pearlescent beaded clutch. 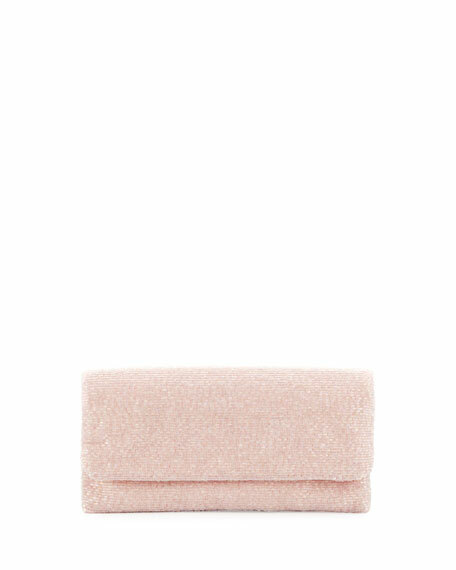 Allover iridescent beaded Moyna clutch bag. Interior slip pocket; satin lining. 4 1/2"H x 9"W; weighs under 1lb. All Moyna handbags are brilliantly hand beaded and embroidered by skilled artisans in India. Glass beads are individually chosen to complement the shape of every design, giving each accessory a unique look. From casual events to black tie affairs, Moyna offers elegant options with bold patterns and basic clutch bag silhouettes to suit every occasion.